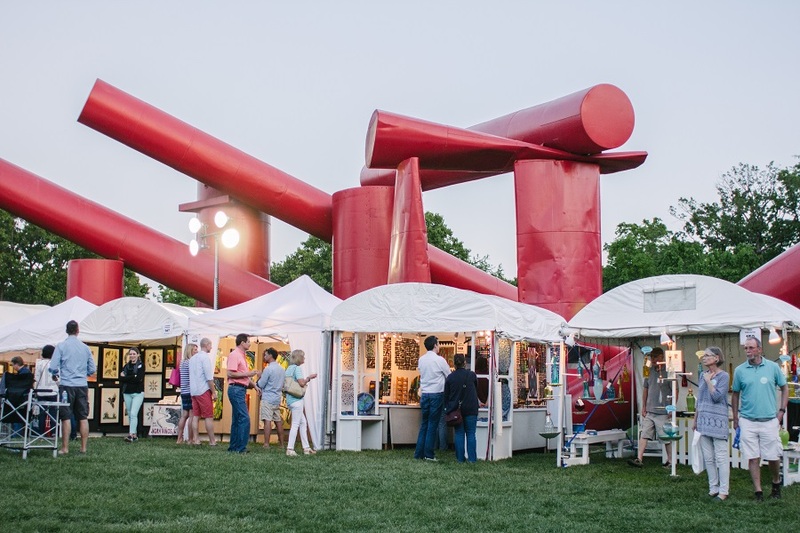 Mother’s Day weekend has become synonymous with Laumeier Sculpture Park’s Annual Art Fair, celebrating its 30th anniversary this year. The Fair, which takes place May 12-14, features local food and beverage vendors, hands-on arts activities for kids, live music and 150 artists from across the country. The cost is $10; ages 10 and under are free. For more information, visit laumeiersculpturepark.org. Toast Mom by taking her to see New Jewish Theatre’s “4,000 Miles,” about a young man in crisis who seeks solace from his 91-year-old political activist grandmother and she, in return, finds companionship for the first time since the loss of her husband. After all, what Mom doesn’t want to see a compassionate, intimate and funny play that examines love of the family? The play runs from May 11-28 at the Wool Studio Theater. For times and ticket information, call 314-442-8283 or go to newjewishtheatre.org. What’s more romantic than being with your sweetheart watching theater under the stars? OK, maybe being with your sweetheart watching theater under the stars with a summer breeze and no bugs. Regardless, for a great date, check out one – or all seven -- shows at The MUNY in Forest Park during its 99th season, which runs from mid-June to mid-August. While each production promises to be a smash, “A Chorus Line” (July 29-Aug 4) is, after all, “one singular sensation” of a musical, as it tells the back story of dancers at a final audition, vying for a spot in a Broadway show. As is the case with every MUNY show, more than 1,450 seats at the outdoor theater are free, and available on a first-come-first-serve basis. For tickets and more information, call 314.361.1900 or visit muny.org. For something totally out of the ordinary, try a Clay Date Night at the South Broadway Art Project. Throw pots on a wheel or build structural vessels by hand from 7 - 10 pm Thursdays, Fridays or Saturdays, or from 11 am to 2 pm on Sundays. Whether you’re a beginner or just brushing up on techniques, instructors will meet you at your level. The $45 three-hour class fee covers clay, glaze and firing. Finished creations are food-safe. Projects are usually available for pick-up within three weeks after class. For more info, go to southbroadwayartproject.org. Dance aficionados won’t want to miss Dance St. Louis’s Spring to Dance Festival, which brings together 30 professional dance companies from across the country for three consecutive nights over Memorial Day weekend. Now in its 10th year, the festival showcases just about every kind of dance, from ballet, modern and contemporary, to Indian, African, aerial and tap. This year’s event takes place May 26-28 at the Touhill Performing Arts Center on the campus of the University of Missouri-St. Louis. For a list of participating dance companies and to purchase tickets ($15-$20), call 314.534.5000 or go to dancestl.org. 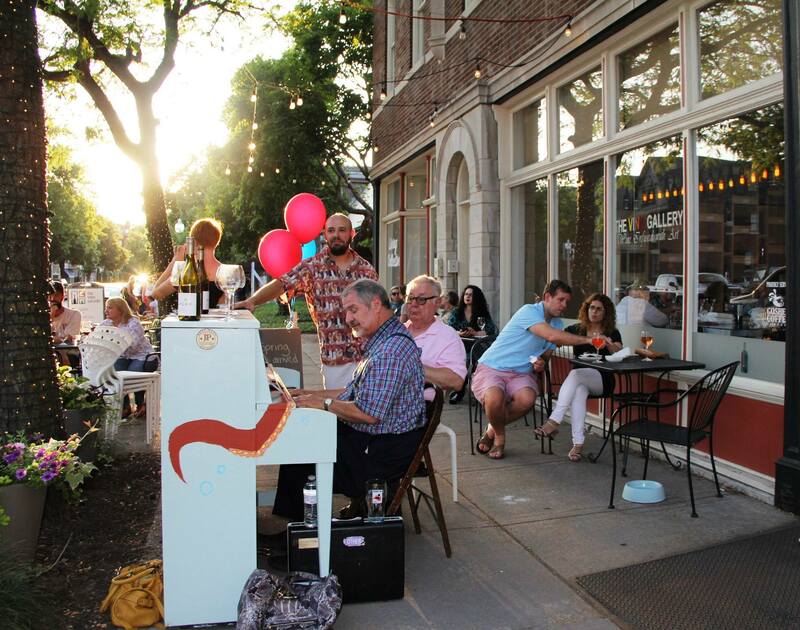 Make Music Day St. Louis invites people of all ages to join in an annual celebration of music that takes place on June 21, the summer solstice, at venues throughout St. Louis including clubs, restaurants, concert halls, street corners, parks, front and back porches – you name it. This free music festival began in 1982 in France as the Fête de la Musique, and is now held on the same day in more than 700 cities in 120 countries around the world. Last year was the first time it was held in St. Louis. To participate, register with Make Music St. Louis as a performer, a venue hosting a performance, or as a volunteer at makemusicstl.org. The Whitaker St. Louis Filmmakers Showcase, a summer offering from Cinema St. Louis, screens works that were written, directed, edited, or produced by St. Louis natives or films with strong local ties. Roughly a dozen films are selected to be screened at the Tivoli Theatre from July 17-21 and range from full-length features and documentaries to multi-film compilations of fiction and documentary shorts. If you’re so inclined, you have until May 31 to submit an entry to the showcase. For more information and tickets ($10-$13), visit cinemastlouis.org. You’re never too old to enjoy the magic of Dr. Seuss, especially in the hands of the talented cast at STAGES St. Louis, which is presenting “Seussical” from June 14 to July 2 at the Playhouse at Westport Plaza. This beloved musical brings to life favorite Seussian characters, including Horton the Elephant, Gertrude McFuzz, lazy Maizie La Bird, and the little boy with a big imagination – Jojo -- who will whisk audiences away from the Jungle of Nool to the Circus McGurkus to the invisible world of the Whos. For tickets and more information, call 636.530-5959 or go to stagesstlouis.org. You can never go wrong at Circus Flora, which this year invites attendees to step back in time as it tells the story of a love triangle caught between the present and the past. Along with a compelling story, expect the show “Time Flies” to highlight jaw-dropping aerial performances, mesmerizing horse-riding acts, amazing jugglers and more when the Big Top in the Grand Center Arts District opens June 1-25. Go to circusflora.org for more information and tickets ($10-$50). 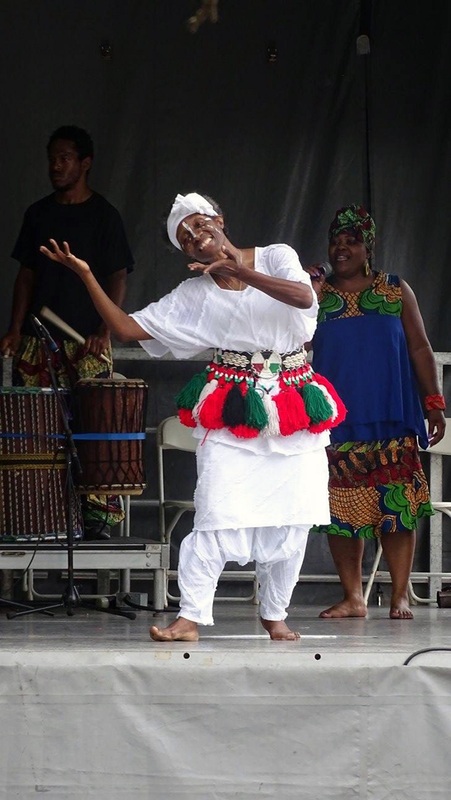 Kick off the unofficial start of summer Memorial Day weekend with the African Heritage Association’s St. Louis African Arts Festival May 27-29 at the World’s Fair Pavilion in Forest Park. Explore the richness of African culture with the whole family through music, dance, art, theatre, shopping, and food. The festival is free. Visit stlafricanartsfest.com for more information. Pack a picnic, grab a blanket and head to Forest Park to see “A Winter’s Tale,” this year’s mainstage production from Shakespeare Festival St. Louis. Free performances are held nightly (except Tuesdays) from June 2-25 at 8 pm at the park’s Shakespeare Glen. 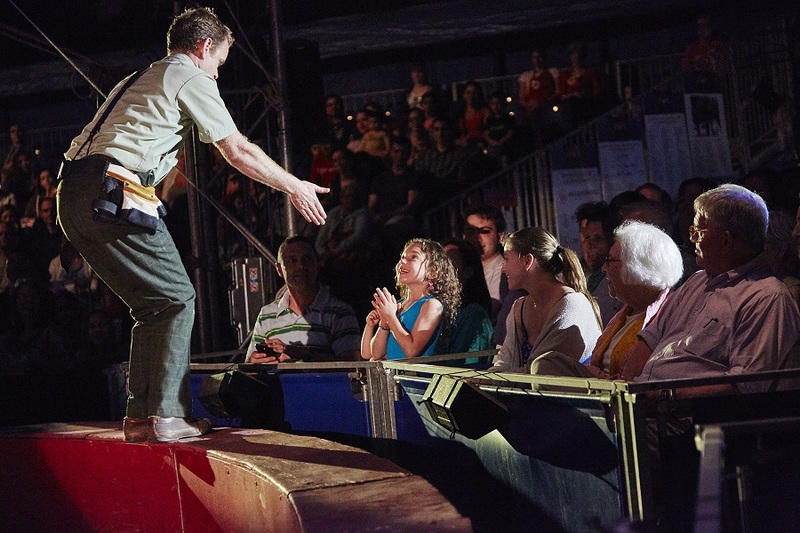 The pre-performance Green Show, featuring jugglers, musicians, clowns and an introduction to the show’s characters and plot, starts at 6:30. For more information, go to sfstl.com. On June 11, Laumeier Sculpture Park will host a Free Family Day, from 2-4 pm. Participants of all ages are invited to create artwork based on personal experience using a variety of materials. Activities are designed to be simple enough for ages 4 and up, yet complex enough that more experienced young artists can take their projects to another level. For more information, visit laumeiersculpturepark.org. Burn calories while feasting your eyes on St. Louis’s amazing art collections. Tour de Museum, June 3 from 9:30 am to 1 pm, combines biking with stops at the St. Louis Art Museum, Mildred Lane Kemper Art Museum, World Chess Hall of Fame, and Contemporary Art Museum, with a scavenger hunt at each location. Solve the riddles, find the art, and be entered to win prizes after the ride. The cost is free, though registration is required at trailnet.org. Think of it as a theatrical smorgasbord as you rotate through venues in the Grand Center Arts District to get access to 22 local theater groups (including A&E grantees and tenants) in short performances at the Grand Center Theatre Crawl, in conjunction with St. Louis Public Radio. Performances begin at 6:30 pm June 30 and 1:30 pm July 1. While the crawl is free, you’ll need to register at stlpublicradio.org/theatrecrawl. High-tail it over to the Looking Glass Theatre in Lebanon, Illinois for its production of “Titanic: The Musical.” Winner of five Tony Awards, including Best Musical thanks to its soaring melodies, it tells the story of people aboard the legendary doomed steamer. Make a day of it by exploring the shops and restaurants in historic downtown’s St. Louis Street, also known as “The Brick Street.” The play runs May 4-7 and 11-14 with tickets priced between $9 and $12. For more information, go to lookingglassplayhouse.com. 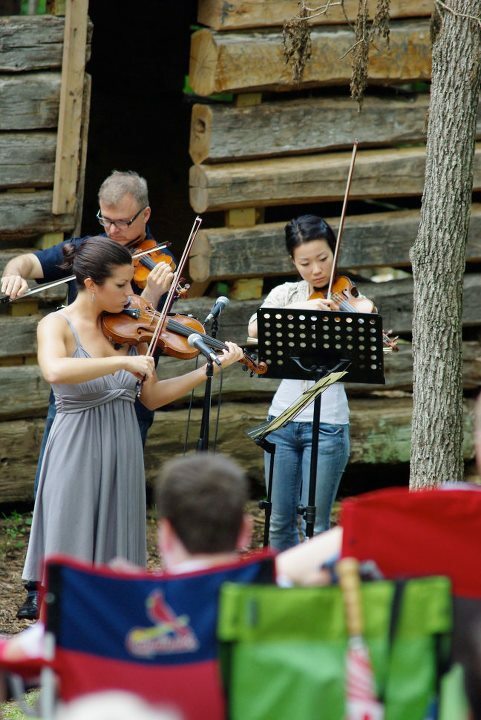 Experience a variety of musical styles such as classical chamber music, opera, jazz, ragtime, and blues at the Innsbrook Institute Summer Music Festival June 9-17. Set in beautiful rural Warren County, about an hour’s drive from St. Louis, see some of the most talented young aspiring and professional musicians from across the country perform in an intimate setting at this annual event, now in its 17th year. For a list of concerts and ticket prices, go to innsbrookinstitute.org.